How to deal with annoying charity workers. 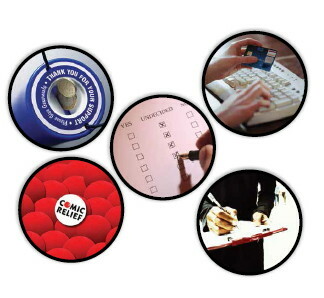 Look at and compare the different ways of donating / collecting money for charities. Which are the most effective? Which ones could be considered controversial? Why? Read the article to find out which form of donating is under criticism. 1. The term “chugger” is an official word found in the dictionary and refers to someone who donates to charity.